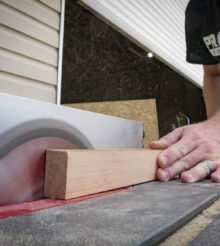 Our reviews of cutting tools includes hand saws, folding knives, and chisels as well as other abrasive tools used by carpenters and tradesmen. From cutting drywall to stripping cables and wires, cutting tools remain a key component in working efficiently. Our knife reviews take new folding knives and pocket knives and test them against manufacturer claims. Manufacturers shouldn’t be the only ones telling you about new features. In fact, some features are helpful, while others simply get in the way. You’re going to hear a lot about types of steel used in various folding knife products and cutting hand tools. We also typically talk about edge retention and cutting efficiency. For wire stripping there’s also application and capacity concerns, and we test ergonomics. Sometimes, how a tool feels in your hand is just as important as how the materials perform. In the field, we suppose it’s all important to getting the job done quickly.